The signs at the stations along the line tell of “72 miles of scenic splendour”, but that barely does it justice. 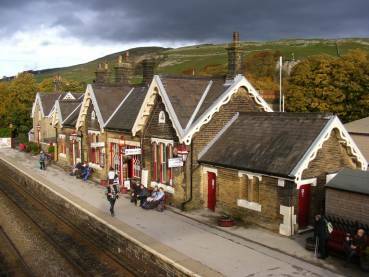 The line passes through the Pennine and Cumbrian countryside, full of hills – including the iconic Yorkshire Three Peaks – and valleys, notably the lovely Upper Eden Valley. The trains pass over high viaducts, through tunnels and along riversides rails, wind gently into Carlisle at the northernmost end. Don’t be mistaken; this is no Heritage Line. Yes, there are fairly regular chartered steam trains running along the tracks, and a keen collection of volunteers help to maintain the station buildings in their old ‘Midland Railway’ colours and care for their adjacent gardens. But this is a fully operational section of the national rail network, part of the Leeds to Carlisle route and with regular services throughout the week (see Northern Rail Timetable No 7). 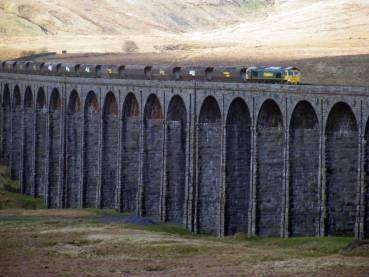 The Settle–Carlisle section is, however, the most cherished part. So, we’ve got a regular service across the Pennines that is undoubtedly scenic (and you don’t have to have a clear day to enjoy the views: it can be extremely atmospheric when the weather is ‘moody’). All well and good for gazing out of the window, but … can you walk from it? The answer again is yes, you certainly can. With the right OS or Harvey’s map, you can roam at will from just about every station on the line. There’s a good network of waymarked Right of Way footpaths and bridleways from each station. The southern end of the line tends to get more attention from hikers, but there are some excellent – and wilder – walks to be had from the northern stations. And it doesn’t have to always be up the hills, either; the valley walks can be lovely as well. So, where to start? Over recent months, I have been listing my favourite routes from the line on this website. These provide numerous ideas for walks, ranging from the challenging ‘off piste’ hikes across open moorland to pastoral riverside rambles and jaunts along disused railway tracks; something for everyone, really. There are walks from all stations on the line, as well as options from Clapham and High Bentham (on the Leeds–Morecambe line) which cross to stations on the S&C line (tickets are valid across both lines). 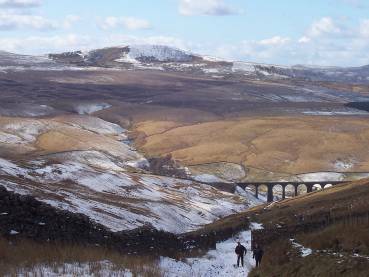 If you want some company, the Friends of the Settle–Carlisle and the Friends of Dales Rail offer free, guided walks throughout the year (mostly on weekends). The line even has it’s own walking festival, the ‘Ride2Stride’. England’s most scenic line? Without doubt – but I’d argue that it’s the UK’s most accessibly walkable line, too. For ticket prices, see the National Rail or Northern Rail websites. You can usually get discounts if you book in advance (rather than buy on the day) and often separate single tickets – an outward and return for specific trains – offers good discounts, especially from the Carlisle end. 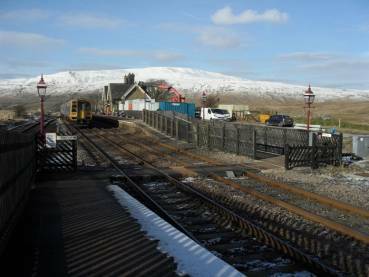 If you live near the line, or are a member of the Friends of the Settle–Carlisle Line, you are entitled to purchase a Dales RailCard. This gives you a third off all ticket prices. All intermediate stations (bar Settle and Appleby) are unmanned. There are waiting rooms or shelters at all stations, but there are no toilet facilities at the unmanned stations. If you prefer your walking routes in a book, try ‘Dales Rail Trails’ by Tony and Chris Grogan, written specifically for rail travellers (however, currently its most northern walk is from Kirkby Stephen).